Superdry men's applique oversized Nu lad hoodie. This overhead hoodie features a drawstring adjustable hood, front pouch pocket and a ribbed hem and cuffs. 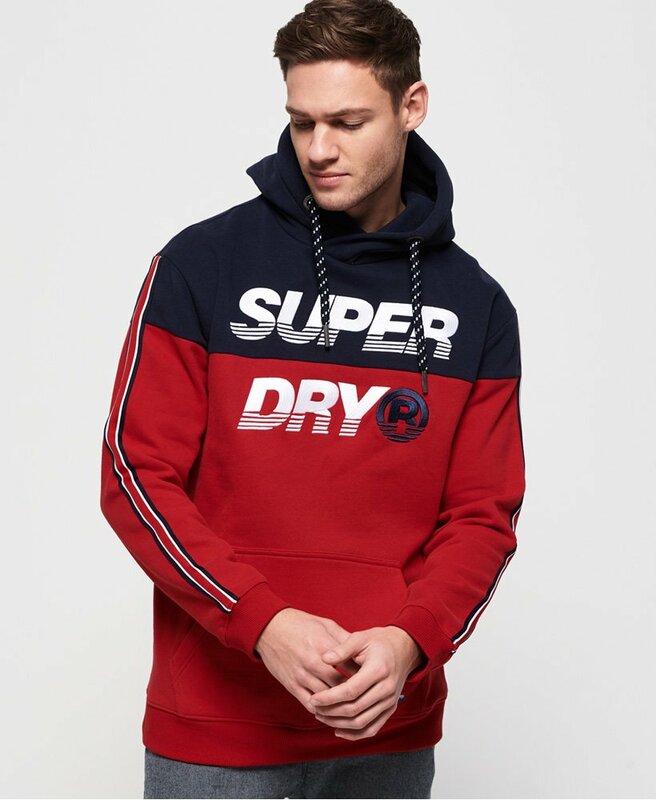 Completed with a logo badge on the pocket and applique logo detailing down the sleeves, pair this hoodie with slim jeans and trainers for a look you can wear everyday.